Today’s Flash Back Friday comes from Episode 134, originally published in April 2013. 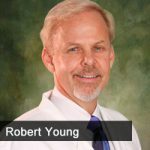 Dr. Robert Young, co-author with his wife, Shelley, of The pH Miracle: Balance Your Diet, Reclaim Your Health, joins Jason Hartman to discuss the biology of the human body at the cellular level. Dr. Young explains the importance of alkaline balance and provides examples of environmental and man-made situations that shift this balance. One example is a comparison of an alkaline battery and the human body – the human body is an electrical being that runs on electrical energy, which we derive from our environment and foods. When the acid in the body is out of balance, we become sick, depressed, or tired. A buildup of acid causes the body to shut down. Dr. Young offers answers to correcting the pH level in the body that will help neutralize the acids that are continually produced, such as lactic acid and uric acid. Over the past two and a half decades, Robert O. Young has been widely recognized as one of the top research scientists in the world. Throughout his career, his research has been focused at the cellular level. Having a specialty in cellular nutrition, Dr. Young has devoted his life to researching the true causes of “disease,” subsequently developing “The New Biology™” to help people balance their life. His research has been published in several noted journals, and he is the author and co-author of many books, including The pH Miracle and Back to the House of Health. In addition, Dr. Young has been honored with an invitation to sit on the Vegetarian and Fasting Committee for NASA’s earth and space missions. He also currently works with a team of research scientists at the University of Puerto Rico, as well as the Center of Diabetes in Puerto Rico, on a potential cure for Type I and Type II diabetes. Dr. Young is a member of the Farm Bureau (Membership number C118341) as well as a recognized certified Avocado grower by the California Avocado Commission. Dr. Young is also a member of the American Association for Cancer Research. Dr. Young is a member of the American Society of Microbiologists, the American Naturopathic Association, and an honorary member of the Connecticut Holistic Health Association, the Presidents Council at Brigham Young University, a consultant for InnerLight, Inc., and an advisor to Dean Lawrence Carter at the Martin Luther King Chapel at Morehouse College. He was honored with his wife, Shelley Redford Young, by Professor Lawrence Carter at Morehouse College, and inducted into the collegium of scholars as well as placed on the advisory board.